Kaizen (literally means continuous improvement) is utilized to achieve sustainable breakthrough improvements in company operations. Kaizen promotes rapid change, is a method to eliminate waste and empowers people with tools for uncovering improvement opportunities. Each event is tailored to current processes in the organization. Events will include presentation, lecture and hands-on activities. Each training event ranges from​ 24 – 36​ hours. 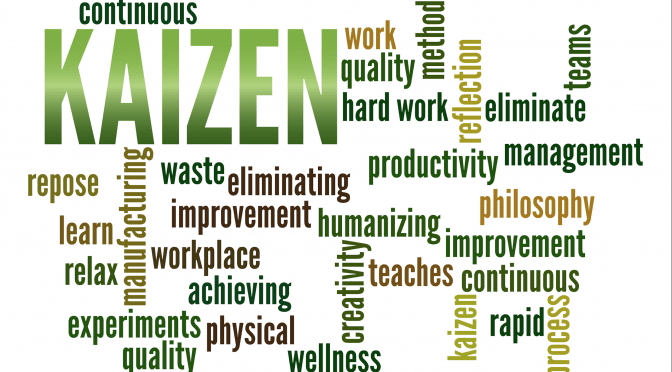 Why Kaizen Can Work for your company? Kaizen is an excellent way to formalize some simple improvement activities that are not always run in an optimal format. Kaizenalso avoids the stigma of a formalized project that may be drawn out over several weeks or months. Most importantly, Kaizenprovides just-in-time process improvements. By using ​our proven​ 10-step methodology, ensuring the relevant parties are participating and empowered, and that those steps not able to be completed in the event are completed within 30 days, Kaizen can enable significant and sustainable improvements to any organization. Thank you for your interest in Kaizen Events.